The Paw Patrol are stuck in ice on Adventure Bay and Ryder needs YOUR help to rescue them. 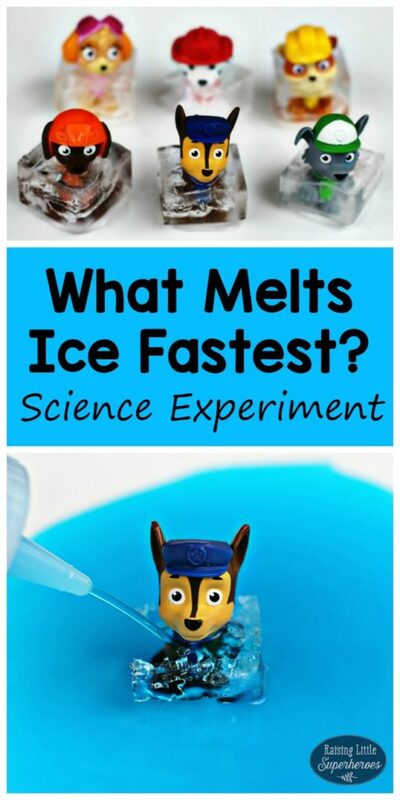 But… What Makes Ice Melt Fastest? Use the Scientific Method in this learning activity and figure out how to save the pups. No job is too big, no pup is too small! Put the Paw Patrol toy figures in the ice cube tray, fill it with water, and freeze. Make An Observation: The pups are all frozen in ice. 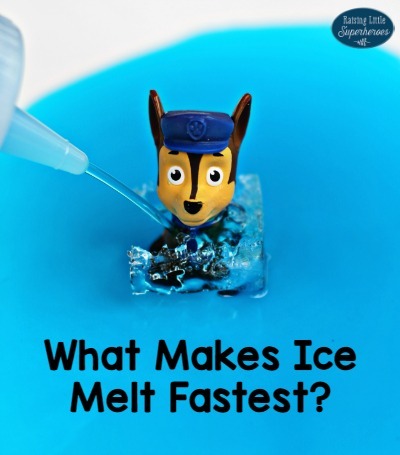 Ask A Question: What makes ice melt fastest? Make A Hypothesis: Select items that may be able to melt the ice. Fill 6 squirt bottles with water and add the selected items to each one. We used 1 tablespoon of each item. Add food coloring to each bottle. (optional) For this experiment, my Kindergartner selected vinegar, salt, sugar, vegetable oil, sand, and hot water. Conduct An Experiment: Place each frozen pup in a bowl. Select one water mixture to squirt on each toy. Draw Conclusions: The salt water melted the ice the fastest. Report The Results: We discussed how the salt water melted the ice the fastest and that is why salt is spread on our roads during the winter. The Paw Patrol is saved! Whenever you are in trouble, just yelp for help! What a great way to use Paw Patrol figures. Their faces whilst stuck in the ice are brilliant! 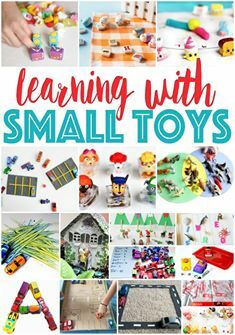 What a fun activity and it’s great for science learning too.